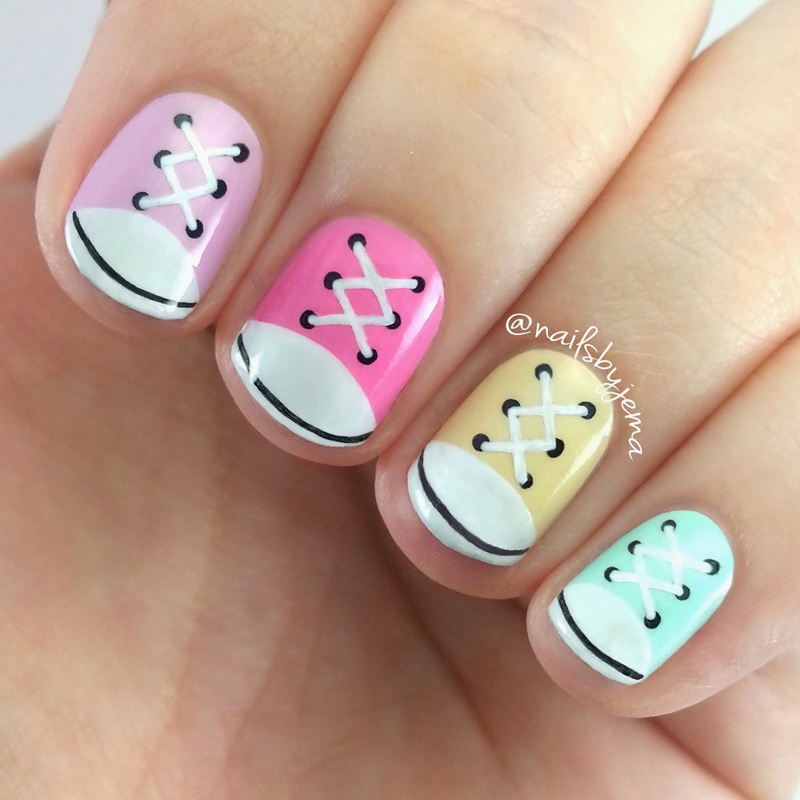 I saw this converse nails design online a while ago but I knew it was best for short nails so I never attempted them. As soon as I broke my nails I knew it had to be my first nub nail art. I started with these amazing pastels by Picture Polish. 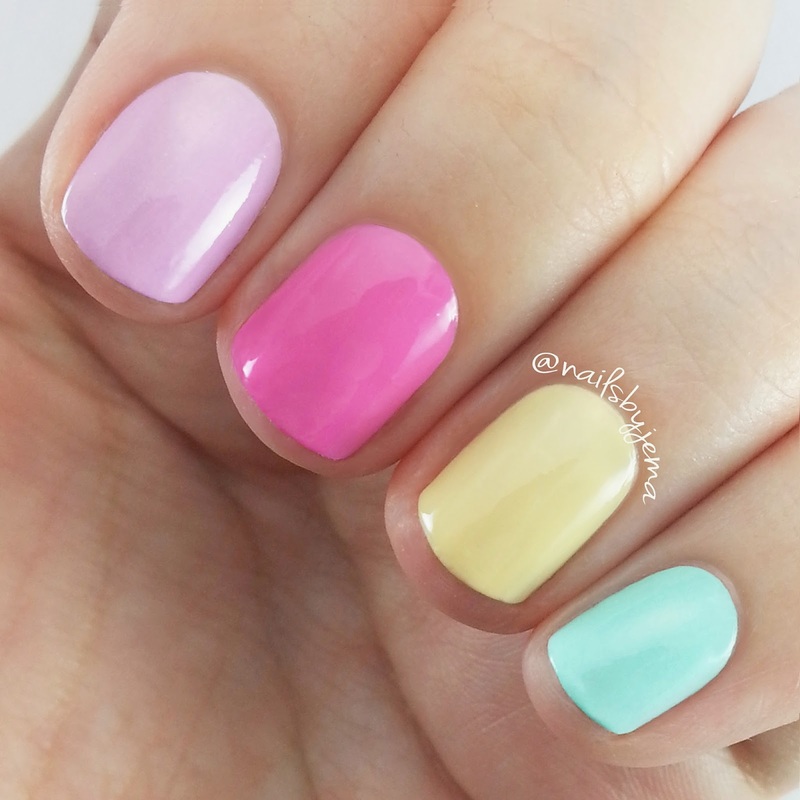 From left to right: 'Twinkle', 'Candy', 'Mellow Yellow' & 'Tiffany'. I used China Glaze 'White On White' for the half moons at the end of the nail and black and white gel pens were used for the shoe lace detail. It was super easy, especially with the use of gel pens. They are great for nail art, thin line application, they dry fast and they don't smear with top coats. What do you think? I LOVE them.